Our journey along the fascinating world of fragrant potpourri started with some classical recipes but as always we've let our imagination run free. 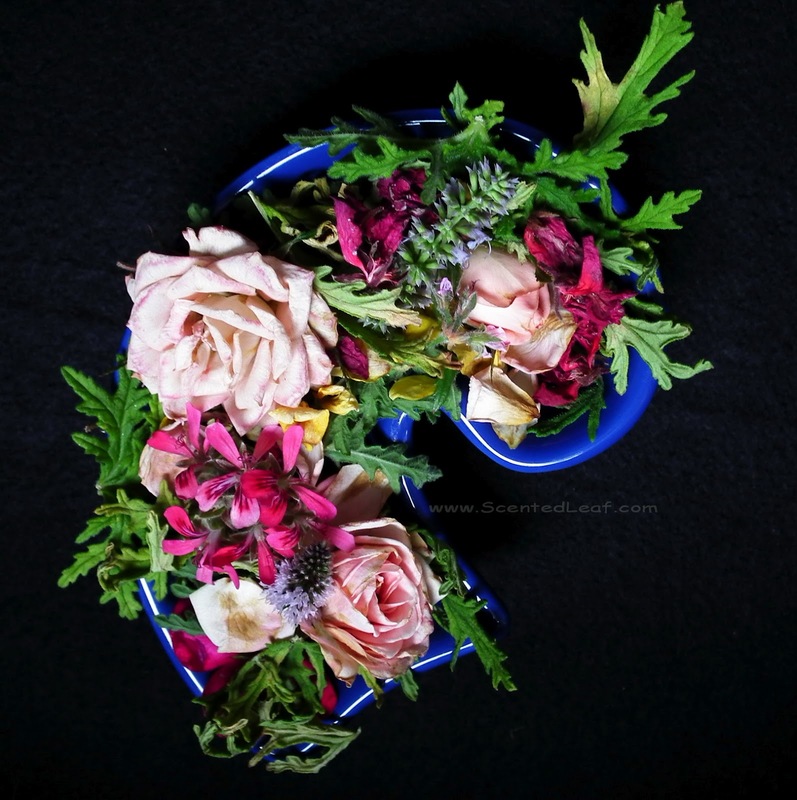 I am always exploring new combinations as I love to have at my fingertips a jar (or an unusual container such as an ... oyster shell ) with fragrant mixture of dried scented pelargonium leaves, flowers and materials gathered from the garden. Last year I've detailed how to make "The smell of Autumn" potpourri using dried leaves of pelargoniums x fragrans, Citrosum, Quercifolium and Tomentosum. At that moment we've dried naturally the materials, on an wooden rack placed in a warm and well ventilated spot. It is the oldest way to dry herbs and spices, letting the time to work for you, but sometime the shape and the color are modified during the drying out process. As we try to keep out of any chemicals (drying flowers using Silica Gel) we've started to think about to improve our way of preserving leaves using a Dehydrator. So, this year we've made a new step and decided to purchase one. We were following the time and temperature estimates provided by manufacturer, but of course we have dried similar batches with different results, varying due to the type, quantity and quality of plant materials and harvesting conditions. 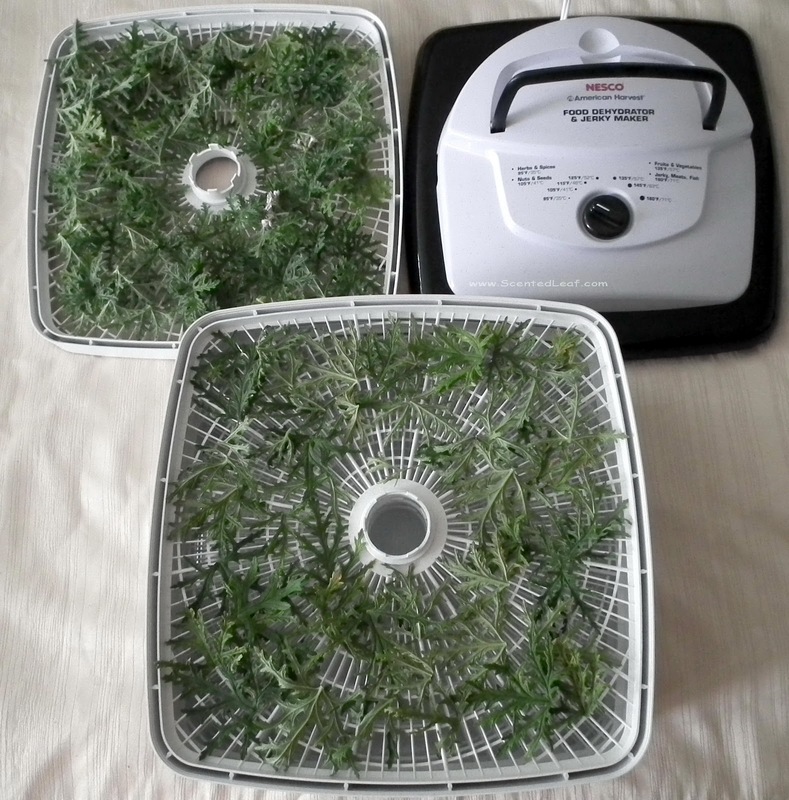 I'm convinced that using a Dehydrator to dry herbs saves time and space ... but I still fancy the old way ... slow and steady. 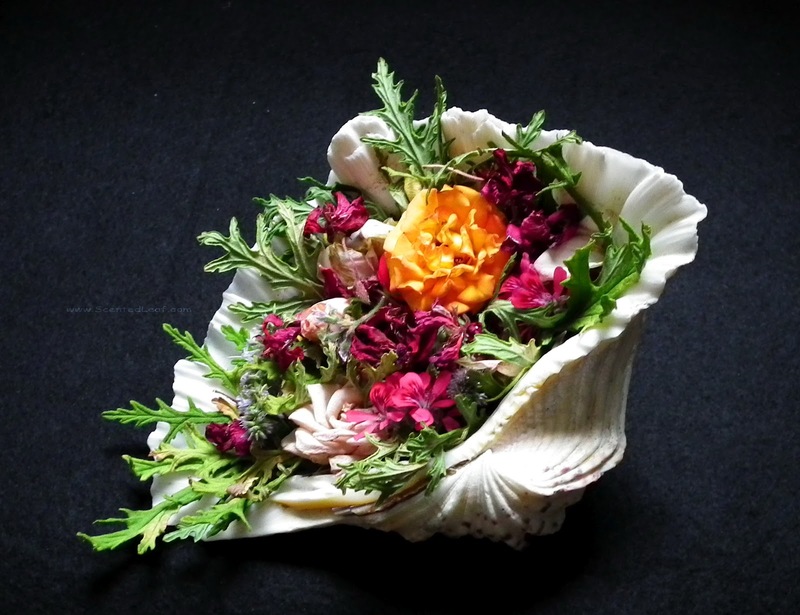 The leaves & flowers are better preserved and maintain better their color and shape, very important attributes in any potpourri, but somehow the smell was a bit diminished.